Rescues local after seeing his side lose to Japan. 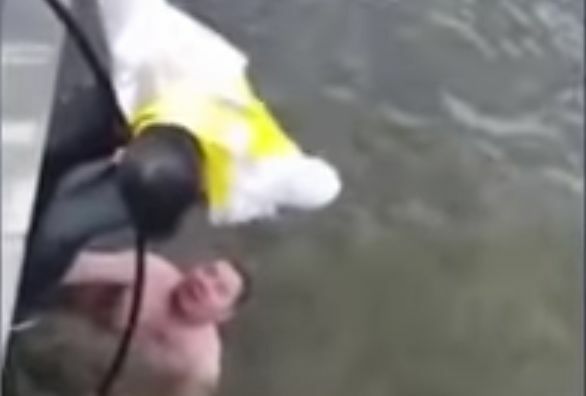 A Colombia fan saved a local man’s life in Russia by dragging him out of the Kazanka river after watching his side lose to Japan. With the help of friends, he hauls the apparently inebriated man out of the water and deposits him safely onto the pier. Gradually the Russian comes to and attempts to thank his saviour, who tells him to go home to get some much-needed rest. The Colombians attempt to rally support for their team with the local man but he seems not to understand, instead saying “I love you” in English.